In this research, the solubility Process of the binary liquid solution(1-Propanol and butyl acetate) were studied at temperature(40,50.60)0C. Densities ρ by pycnometer method and viscosity ƞ by OSTWALD tube that calibrated with distilled water was measured. Then excess molar volume was calculated of pure component and its mixtures that was prepared over the entire mole fraction range. It has been observed that excess molar volumes values were negative at all temperatures. After that, the deviation in viscosity ∆ ƞ and Excess Gibbs free energy ∆GE was determined and it has been observed that it takes negative values at all temperatures. Excess molar volume, deviation in viscosity, excess Gibbs free energy were correlated with Redlich-Kister equation Type polynomial and the showed an accepted standard deviation between the experimental and calculated values it has been shown the effect of Hydrogen bonds formation and the spherical shape for the molecules and its size on the excess thermodynamic properties. 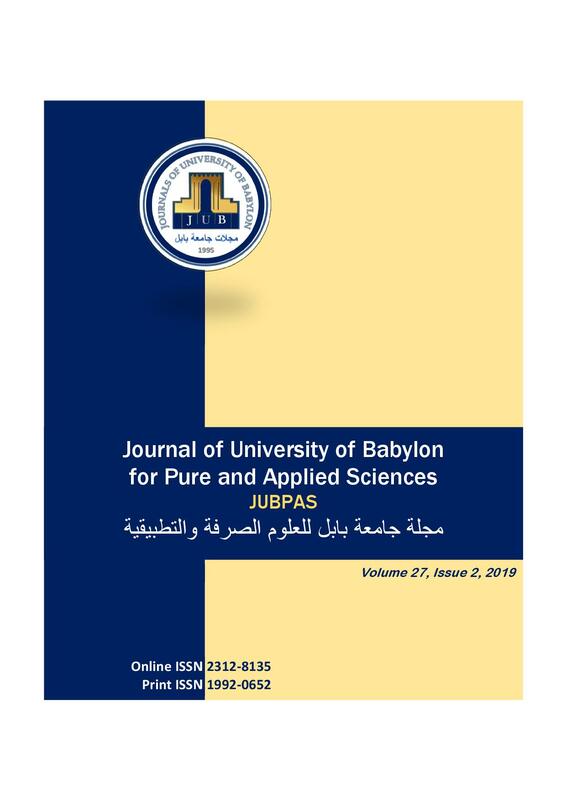 Z. Al haddad and M. Amer, “Excess Molar Volume Calculation and Viscosity Deviation and Excess Gibbs Energy for Binary Solution of 1- Propanol with Butyl Acetate at Temperatures (40,50,60) 0C”, JUBPAS, vol. 27, no. 2, pp. 295- 305, Apr. 2019.